Once shipped, most domestic orders take anywhere from 2 to 10 business days to arrive depending on the efficiency of your local postal service. International shipping delivery times may vary between 2 and 12 weeks. Yes. Please contact me for an exact shipping amount. Satisfaction is important, and I sincerely hope that you and your guinea pig enjoy your item(s). However, if there is a problem with your order, please notify me within the first seven (7) days after receipt. Items may be exchanged at the store's discretion. 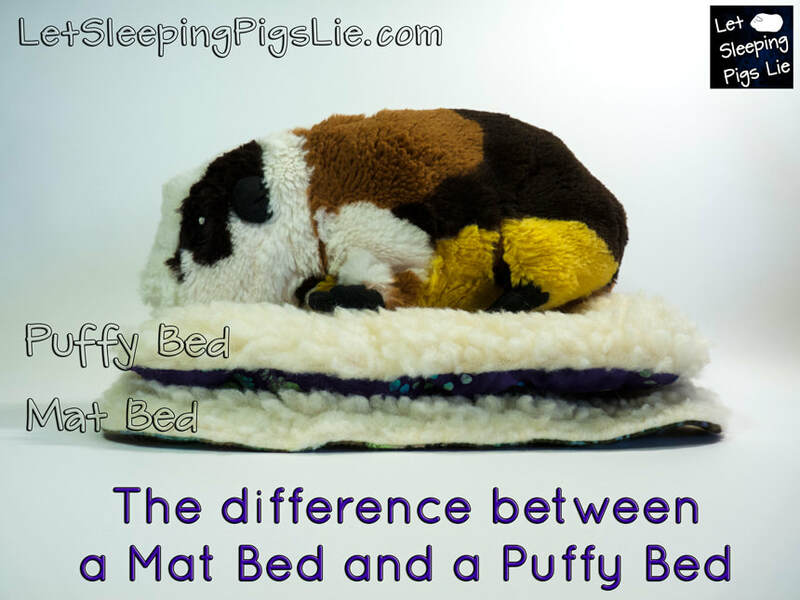 What is the difference between a Puffy Bed and a Mat Bed? PUFFY BEDS are made with high-loft batting, and stay as puffy as a pillow, wash after wash. Puffy Beds make nice, cushiony pillows and beds for your guinea pig. MAT BEDS are made with regular-loft batting, for a cushiony, mat-like appearance. Mat Beds are useful in those favorite eating and sleeping spots areas of your guinea pig’s cage, and give extra protection from lying in damp areas. 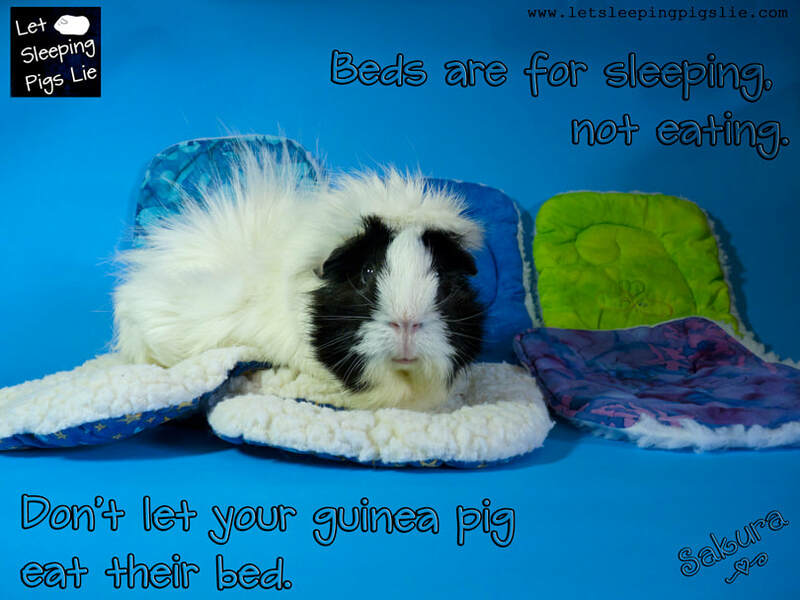 Both styles of beds are just the right size for any area of your guinea pig’s cage and travel carrier.